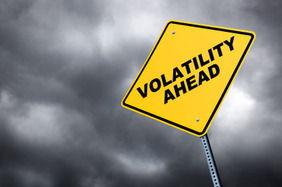 SP500 Index: a Currency or Volatility Play ? ​Volatility in US stock to fade. I ll try to answer this question in that article. Already 3 Volatility Asset Class were rising fast at the end of July 2015: US Interest Rates Volatility Index, China Markets ETF Volatility Index and the EuroCurrency ETF Volatility Index. One that did move the least is the SP500 Volatility Index know as the VIX as shown by the chart below. ​​Mr YEN gave the first shot across the bow, Emerging Currencies gave us the coup de jarnac by breaking that Major Support Trendline; that was the beginning of the correction into the Mighty SP500 Index. In fact, to see it more clearly, I did an average of the 5 Volatility Index from different Asset Class ( Candles on the Chart Below ) to compare it to the VIX Index ( Bar Chart at the Bottom of the Chart Below ). Rising Volatilites usually is bearish on Equities as shown by the Vertical Lines on the Chart Below. But few realize that already the Emerging Market Currencies ( CEW ETF ) ​​broke a Support Trendline on the week of July 20 ( Grey Trendline - Chart Below ) and most importantly that on the August 17 week, EM Currencies were near a Total Breakdown on a Major Falling Wedge that started back in May 2010 ( Bottom Red Trendline - Ellipse - Chart Below ).